Laser Cutting is becoming a popular design feature for those wanting to give their space a unique edge for indoor design. Many businesses, schools, and homeowners are quickly discovering this new way to create unique pieces of art in their spaces. Laser cutting is using a technology where lasers are used to cut different types of materials. This process works by focusing a high-powered laser through the means of optics. Laser optics and with the computer numerical control (CNC) system, you can shape the material through laser beams. This directed laser beam can either melt, burn or vaporize away portions of the material to create high-quality edges and surface finishes. The types of material used is aluminum, stainless steel, mild steel, and corten steel. These materials can be used in many ways and for various purposes. Essentially, it’s a metal laser cutting technique. 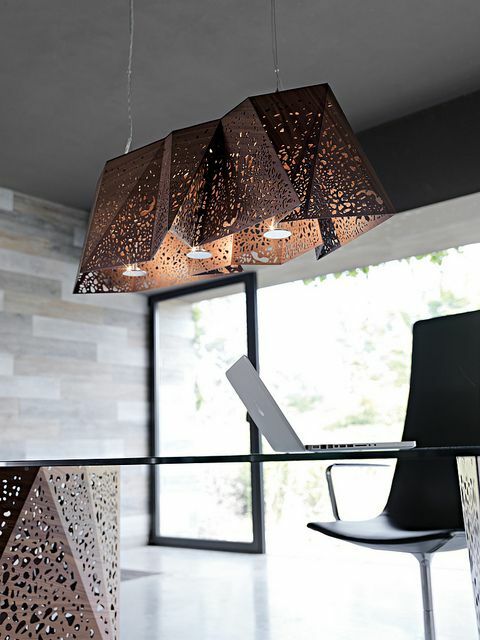 What interior designers use are laser-cut panels, in which they create interesting designs. They create different unique patterns and designs by laser cutting your choice of material. This gives them the strength of steel they need but also giving them that elegance of design that turns a normal room into a piece of art. The customer can choose the type of metal, color, and finish that suits their style. Lighting can also be built-in creating a natural light ambiance. Beautifully and uniquely designed interiors can make a big difference to any home. Your indoor design can speak volumes to your guests and family. You now have a unique way to create interesting works of art in your home, and this indoor design feature can add warmth, create focal points, and create that special flair you are wanting in your home. Let’s look at creative ways where you can create unique pieces of art in your home through the laser cutting method. Below are some unique ways for home and interior design. There are so many ways to create beautiful wall decorations through laser cutting. Many people are storing away their wall pictures and paintings and replacing them with beautiful works of art. Also, you can add background lighting that will create beautiful special effects – essentially creating a mood. Choose a wall that you want to emphasize and to stand out from the others. Having a feature wall is the best way to show-off or create that unique feel to your home – giving it that special flare and focal point! This creates an atmosphere! You are creating texture, depth, and light to create a certain ambiance and focal point for your room or space. 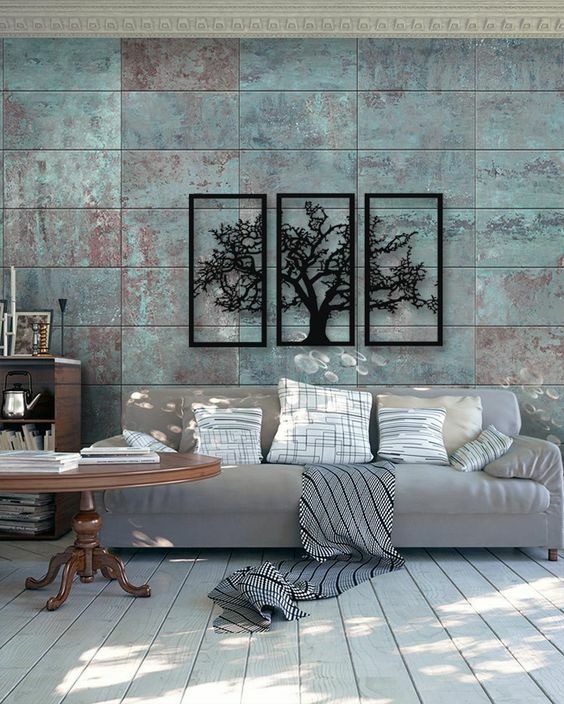 You will be able to choose the colors, metals, and styles you want for your wall. You can create beautiful lighting with laser cutting wood or metal into unique designs. This look really creates a beautiful, one-of-a-kind look to your home. Lighting is actually a very important design feature to any home or space. It’s becoming a trendsetter and completely giving homes a new ambiance. 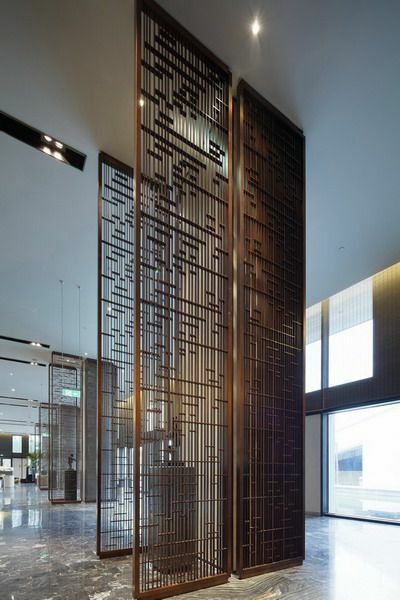 These room dividers create interesting separate spaces to give your large areas a distinctive feel and look. Laser cutters can create your space through the use of room dividers – creating that unique space you are wanting. This option allows you to hide certain areas; for instance, the entrance to your bathroom. Many luxury hotels, offices, restaurants, and houses are implementing this design feature. This is where you can add extra walls to hide spaces. Also, you can partition certain areas to add more function to spaces. 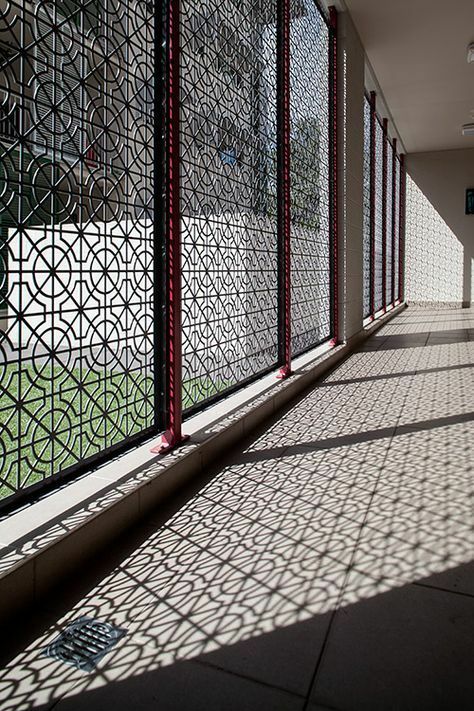 Using laser cutting helps to create the look of a partition without having a huge wall installed. 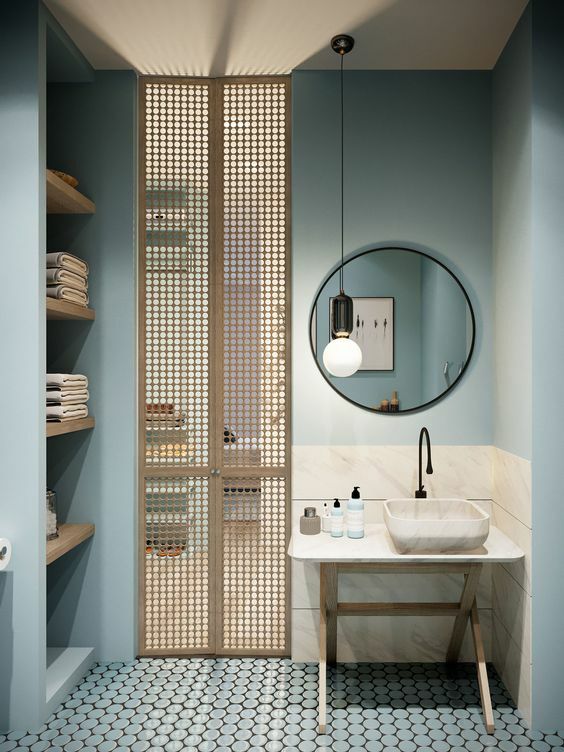 If you are looking at redoing your bathroom, then look no further than laser cutting. If you’d like a spa look to your bathroom then laser cutting is what you should consider. By the use of certain materials, you can create your bathroom into a relaxed spa-like setting filled with serenity. With the use of lighting, you can create a subdued and relaxing mood. Flooring, walls, and lighting should be considered for this unique spa-like look. Yes, you can decorate your living room with photographs and paintings, but if you want to create a unique look and statement then enliven your walls with flare and style! A laser cut wall décor can add character to your home and create that special warm ambiance you are wanting. You can have special artwork, artwork with lighting, mirrors, clocks – any combination that you can imagine. Create that one wall as a focal point – make your home a unique piece of art. This can add warmth, character, and give your home a whole new vibrant look. 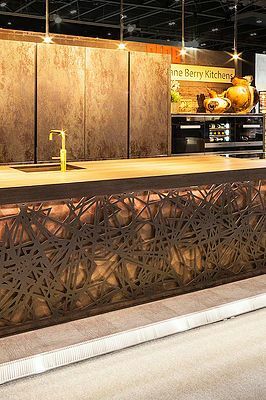 You can have your kitchen cabinets designed especially for you by the use of laser cutting! It’s essentially sculptured kitchen cabinets. Also, you can have floor to ceiling panels added to your kitchen to create interests and a certain mood. Yes, you can have your own flooring made of laser cut material. 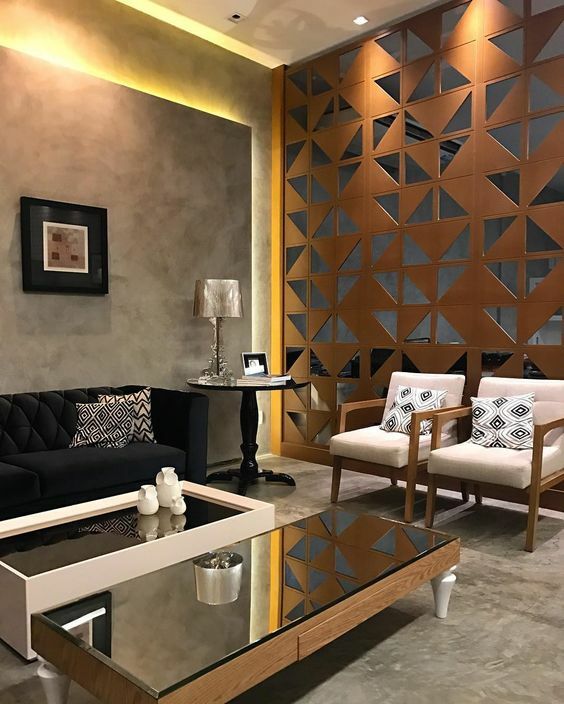 Your laser cut designed walls can be made to enhance your laser cut designed floors creating a feeling of serenity and peace – creating a mood. You can have abstract patterns that create a certain mood. Your kitchen cabinets can be designed either open or with doors. 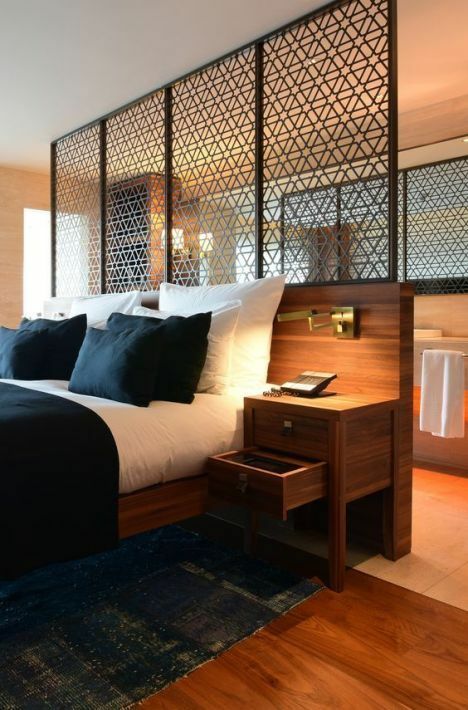 Bedrooms can be enhanced through laser cut material. If you are wanting to create a whole new look and feel to your bedroom, then laser cutting should be considered. You can choose one wall or all the walls –whatever you have in mind. You can have unique artwork made, create a focal point, add warmth, dimension, and character. You can add lighting that will create a relaxed room filled with serenity. You can also add a partition if you’d like. There are many options available. You may consult with laser cutting service providers for the custom shapes and looks you are wanting for your home.